This action figure is an abomination! Emil Blonsky joins the Marvel Select line. This action figure is an abomination! 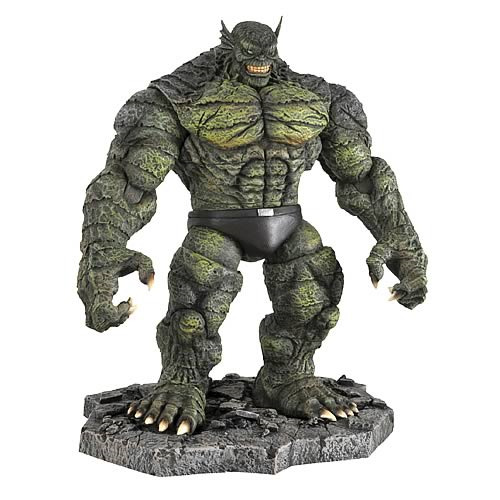 The unstoppable Marvel Select figure of Emil Blonsky - aka Abomination - stands over 9-inches tall and features multiple points of articulation, plus a deluxe display base to showcase the fantastic sculpt. This large, mean, green creature will make your collection unstoppable, too! Ages 8 and up. Emil Blonsky became the hideous creature known as Abomination when his attempt to become the next Incredible Hulk went horribly wrong. Forced to remain in his grotesque form, Abomination is at times even more powerful than the Hulk, though getting angry has no effect.